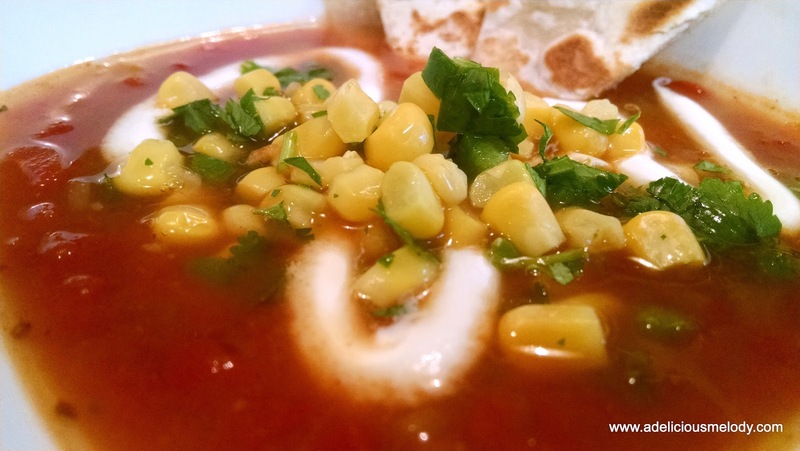 I have several tex-mex soups on this blog (here, here, ..etc) but this one may just be a new fave. I have a little secret fall ingredient in there that gives it a little more substance, flavor and almost creaminess without a lot of calories! :) Wanna guess what it is?? Pumpkin! And did I mention this soup is easy?!?!?! Place everything in the slow cooker and stir together. Set on low for 6-8 hours or high for 3-4 hours. I highly recommend some corn salsa, sour cream (or plain yogurt) and flour tortillas in strips or wedges for toppings. Serve and enjoy! Also goes very well with cheese (or chicken) quesadillas!